Suspecting a link between a series of murders and her mother's newspaper articles that expose toxic waste dumps, Kate Gillian resolves to figure out what is behind the shadowy figures she sees in the small Texas community. Katie Gillian and her journalist mother have moved from Houston to a small coastal Texas town so that Mom can write a novel in peace. Katie's resentful; she misses her beloved ballet lessons and, at her new school, she's assigned to help Lana Jean improve her English-class journal, which is as strange as the girl herself: it's an account of the activities of Travis, a hunk with whom Lana Jean is infatuated. Meanwhile, the Gillians are plagued by a series of attacks on their house and a burglary. When Katie and Lana Jean go to a carnival, Lana, obviously shadowing Travis once again, disappears. Next morning, a carnival worker is found murdered. Is this related to the violence at the Gillians' home--or to illegal toxic waste disposal by the town's major employer, which Mrs. Gillian has been investigating? When Lana Jean, too, is murdered, Katie realizes everyone's in danger- -and also that Lana Jean's journal (in which Travis is now very interested) may contain a crucial clue. 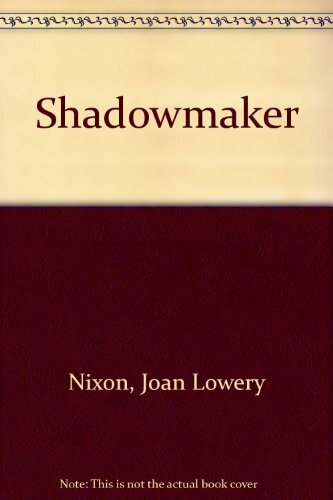 With believable characters caught in a web of violence and intrigue, Nixon is nearly at the top of her form in this smoothly knit novel. Teenage mystery aficionados will love it. (Fiction. 12+) -- Copyright ©1994, Kirkus Associates, LP. All rights reserved.